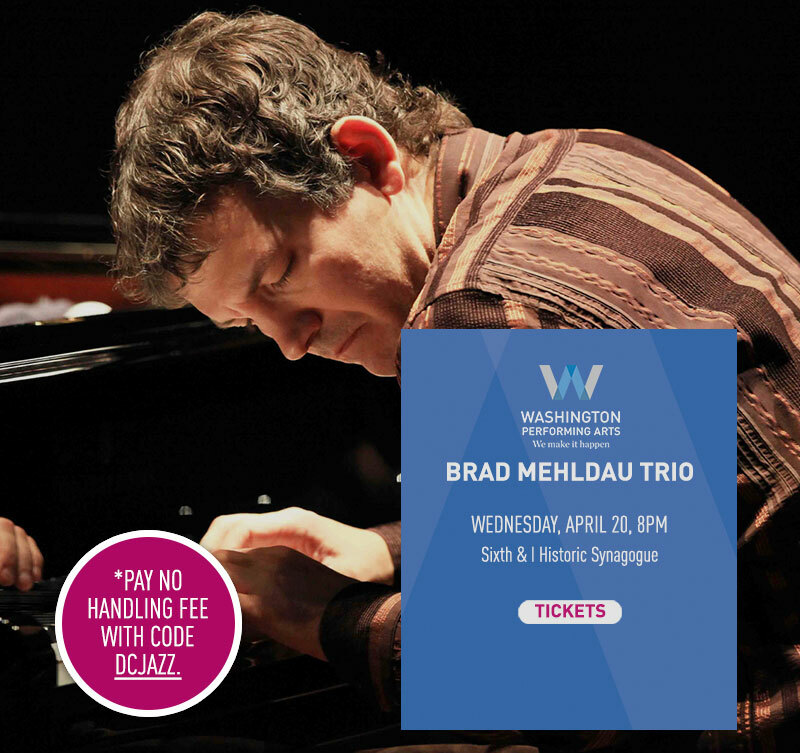 Use the code: DCJAZZ* and pay no handling fees! *Only valid on tickets purchased through Washington Performing Arts. Offer expires Tue, Apr 19 at 5pm. This performance is made possible through the generous support of the Billy Rose Foundation. Washington Performing Arts performances at Sixth & I are made possible by the Abramson Family Foundation and by the generous support of BB&T Wealth.